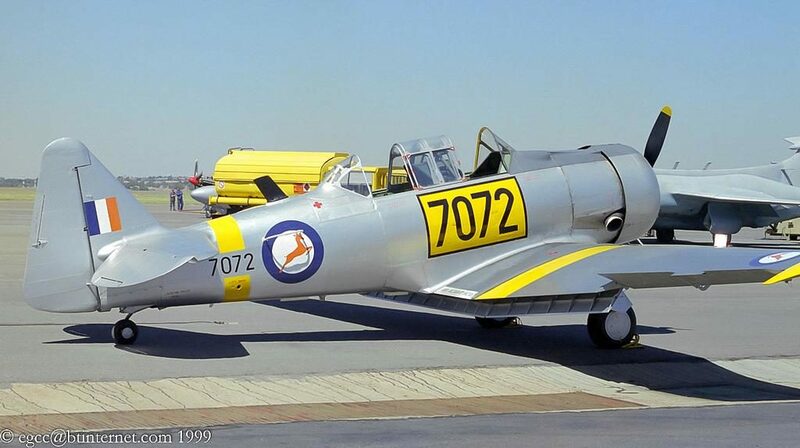 If ever the SAAF had a love affair with an aircraft then it must be with the North American T6 Texan (Harvard). The T6, known as the Harvard in the RAF, served as the classroom for most Allied pilots who fought in WW II. Over a period of 25 years the Harvard was operated by 34 countries. The first Harvard training aircraft arrived in South Africa in October 1942 as part of the US Lend Lease agreement with Great Britain. 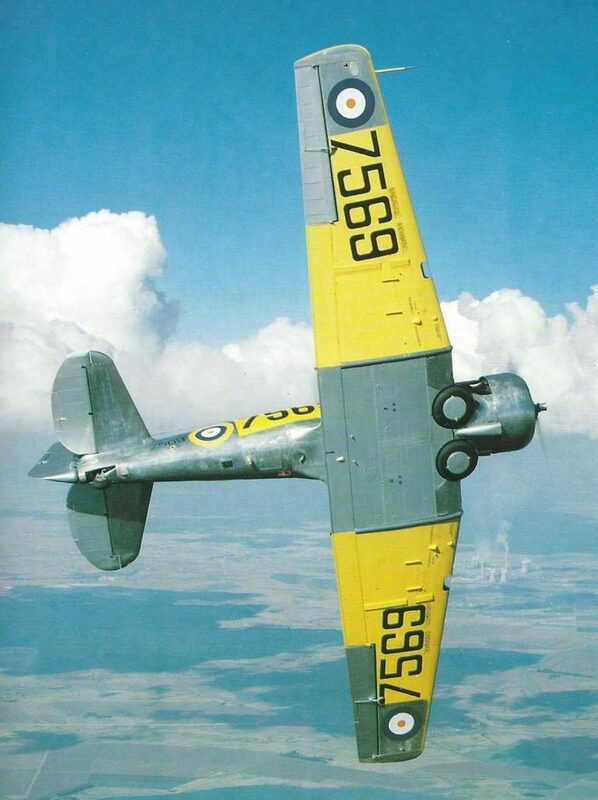 Forming part of the Allied Joint Air Training Scheme, the SAAF received a total of 633 Harvard Mk II A’s and III”s. 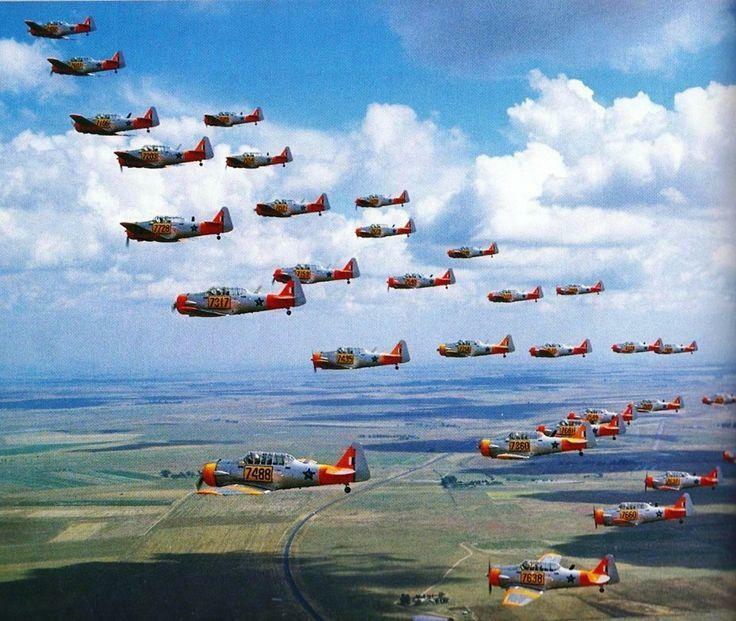 By October 1945 the SAAF still had 555 Harvards in service. With the war at an end, 300 were shipped back to the US and the SA government purchased the remainder of the aircraft from the US. 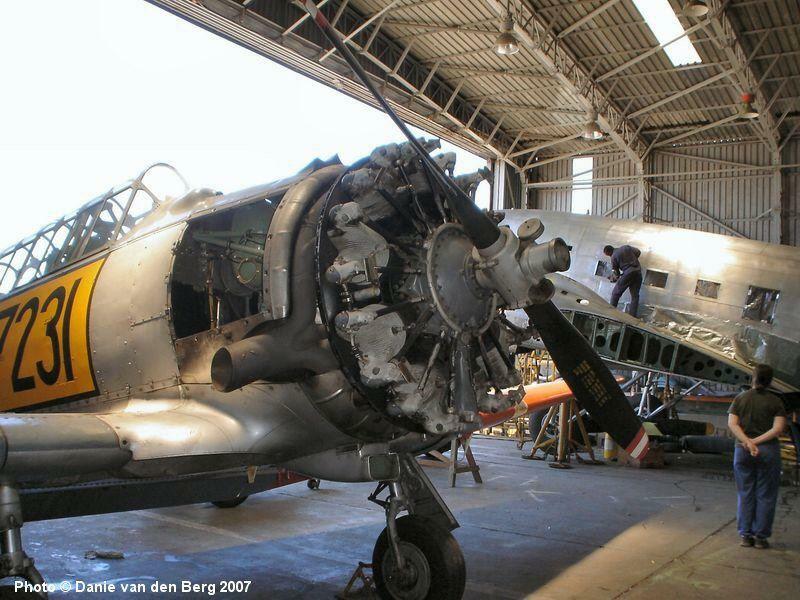 Subsequently, a further 65 AT-6 D’s (SAAF Serial 7634 – 7698) and 30 T-6G’s (SAAF Serial 7699 – 7728) were purchased between 1952 – 1956. 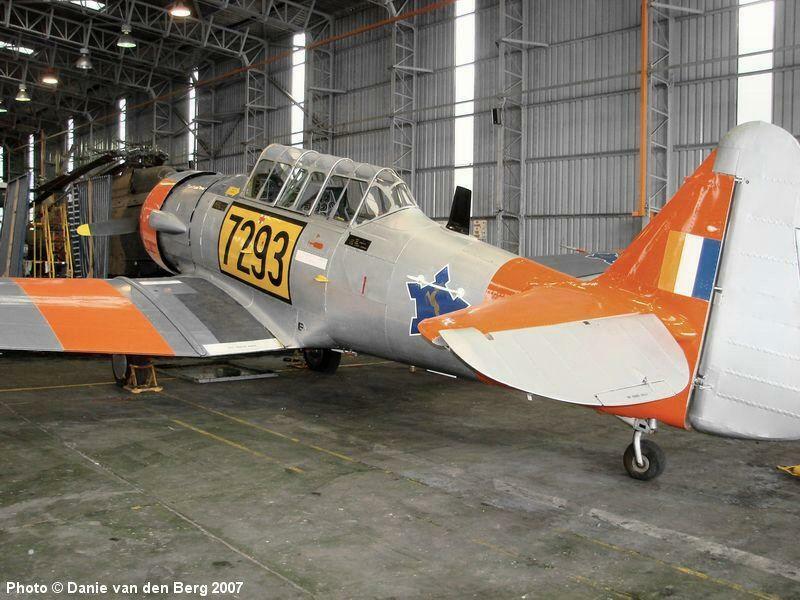 The Harvard served the SAAF till 1991. 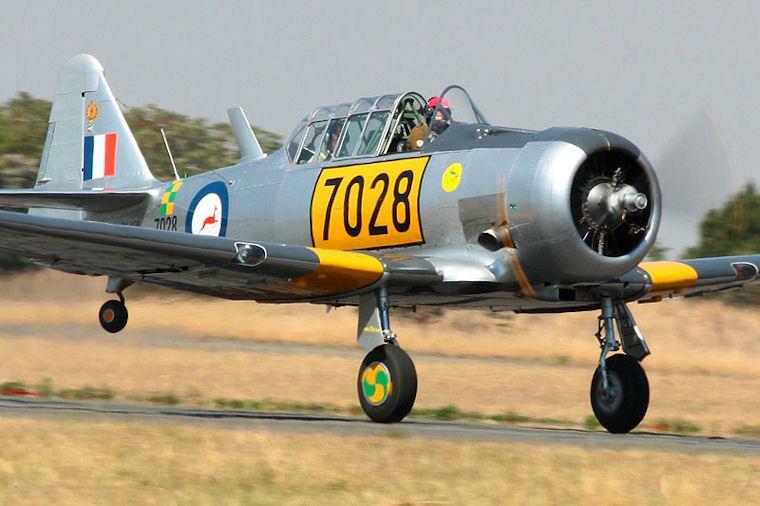 Today the Harvard club of South Africa still fly airworthy machines on the airshow circuit. 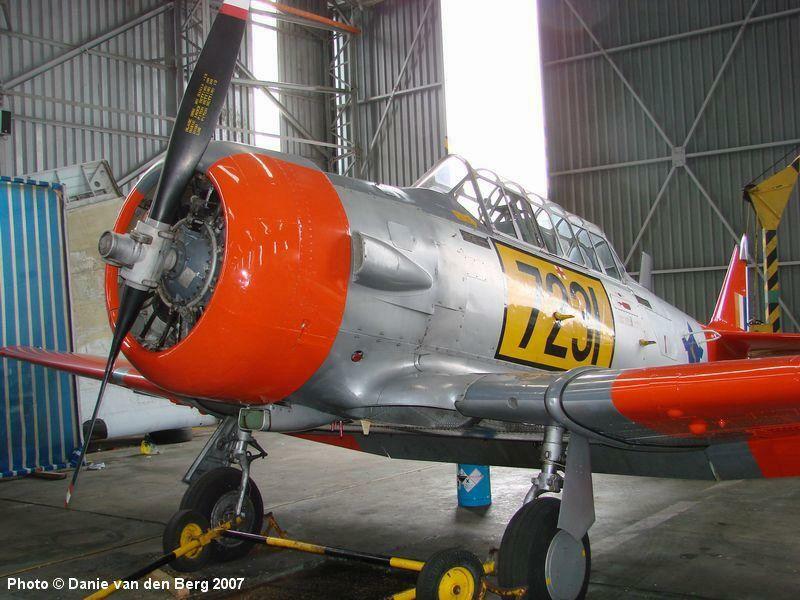 Currently there are 61 Harvards still in existence in South Africa as derelict airframes, static displays, gate guards and airworthy machines. Photos 2 and 3 depict an interesting incident involving a SAAF Harvard and soldiers from the SA Defence Force on 2 October 1964. 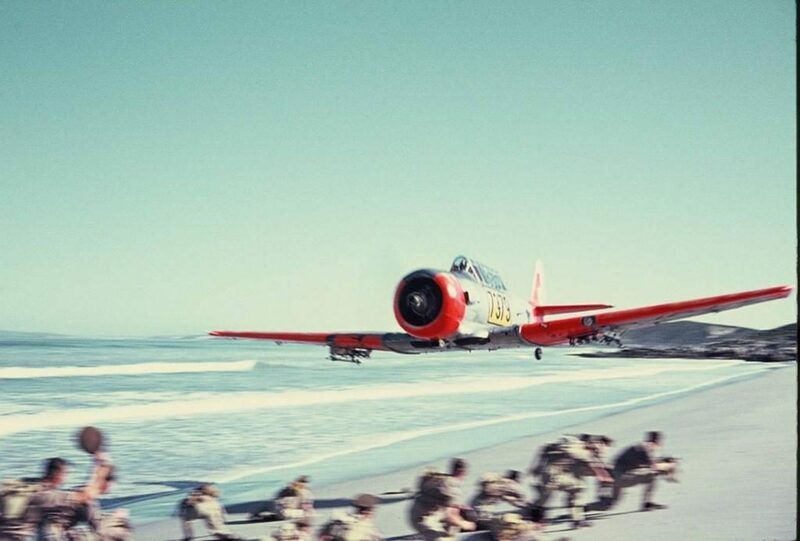 The soldiers had dared the pilot the previous evening at a pub that no low flying Harvard pilot would ever fly so low that they would have to dive to the ground, so the following day he showed them. Fortunately nobody was injured and the SAAF Brass never found out about the incident so the pilot escaped a court martial. 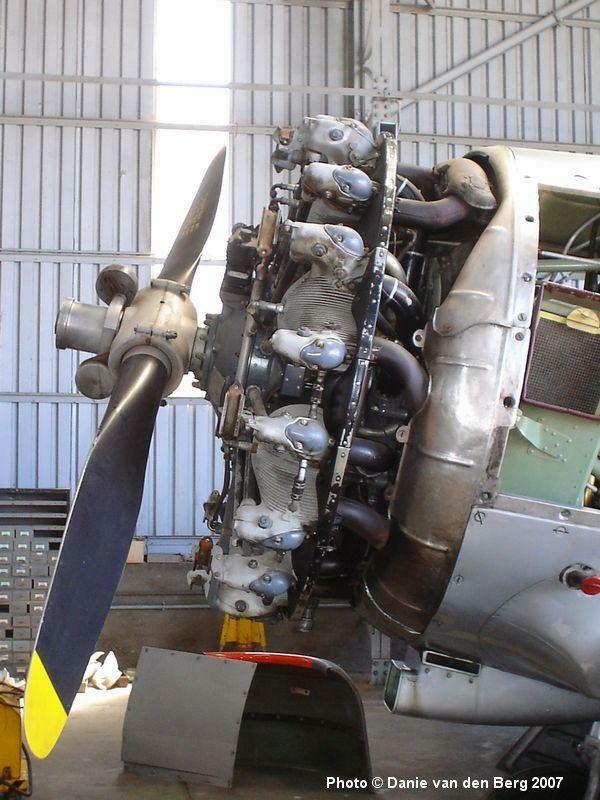 The distinctive sound of a Harvard engine will always have a place in South Africa. 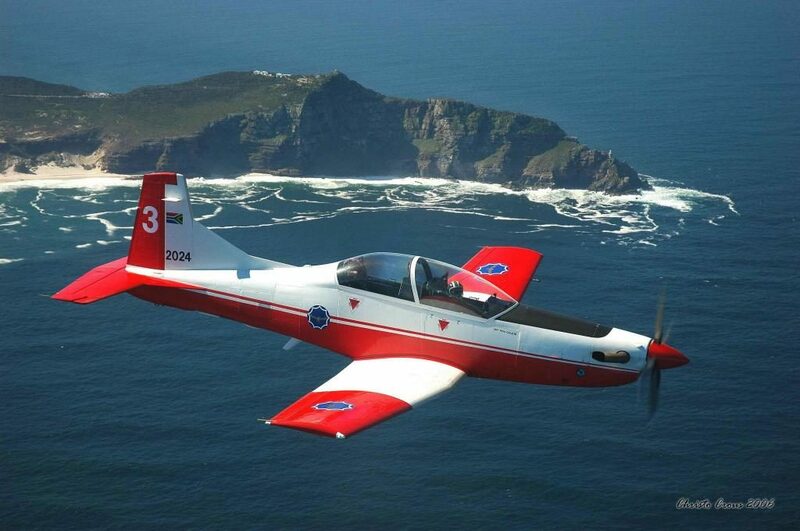 Currently SAAF pilots train on Pilatus and Hawk Trainers. 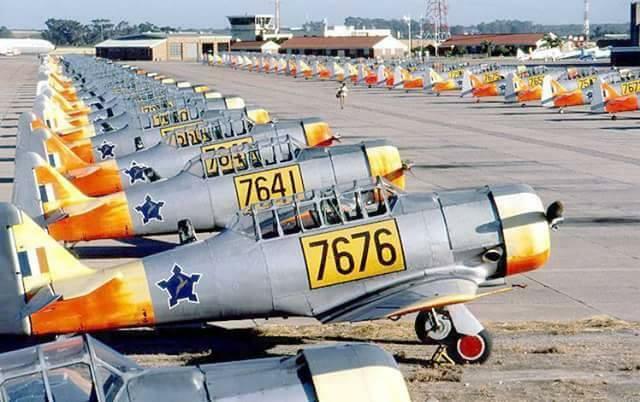 Morne, thanks for posting this, best series of SAAF Harvard pictures, ever! They and the RNZAF must have used them longer than most. I’m going to do at least one in these markings, this gives me reference to work from. Looks like dayglo red? Locally sourced color? Hi Bernard. The current Pilatus trainers have a dayglo red and white scheme. 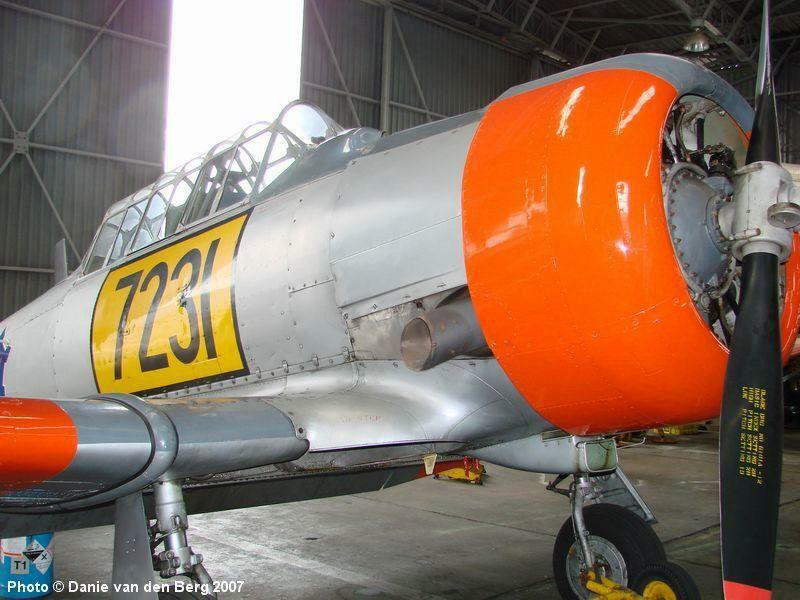 The Harvards were painted in orange which faded into light orange under the harsh African climate. Photo 4 shows the fading of the orange paint. The 1/32 Kittyhawk kit would look splendid in such weathered orange. These photos, however, are superb! My dad was an instructor in Texas flying first, the Vultee BT-13 and then these. Kittyhawk routinely gets it wrong with most of the kits they release. Recent let downs are the overly expensive Banshee, Cougar and Voodoo kits that I purchased. Nonetheless, I have seen some very nice Kittyhawk Harvards finished with the aid of scratch building and other after market goodies. I will rather build a 1/48 scale Harvard. Morne, like you I was disappointed as I really wanted a Banshee and a Cougar. What a shame. My favorite Texan/Harvard/T-6/SNJ is the Revell/Monogram. Rumor has it that the Occidental is a copy. Not sure about that Canadian Masterkit, I think it was called. That shot of the whole sky(it seems) filled with Harvards is just lovely. Probably what it used to look like here, back in its heyday. It is a noisy airplane! I remember my dad told me once how twenty Harvards, flying in formation, flew over the field where he was playing in a Rugby match. The noise from their engines were so loud that the referee stopped the game and waited for the Harvards to fly off since the players and the crowd were mesmerized by the sight and sound of the formation. 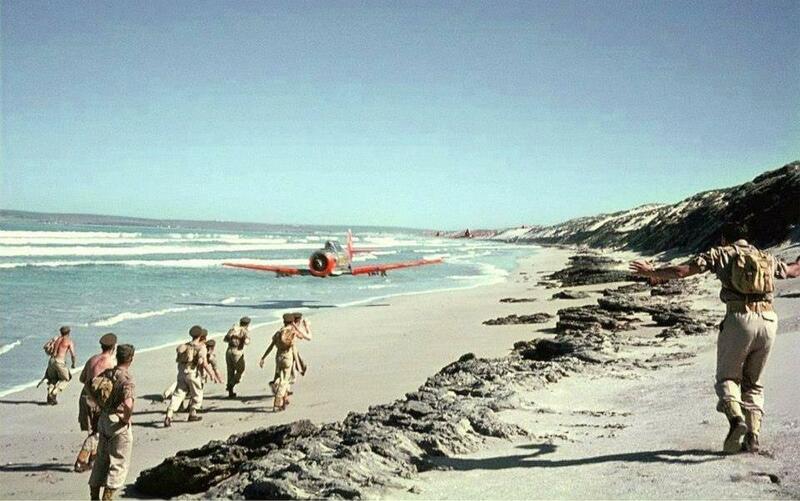 Best photo’s are the low pass on the beach! I got a spot in my heart for this type also.Went to an aviation trade high school, learned on ex Navy SNJ’s. there also was a Skytyping group based at a local airport when I was young, the sound of five of them in formation was awesome. Built the Monogram awhile back, great kit. The low pass photos are my favourite. Would like to see your Monogram T6 !! Gotta dig it out of storage. might need some tweaking. you’ve given me the insentive though. Thanks for sharing these pictures, Morne. 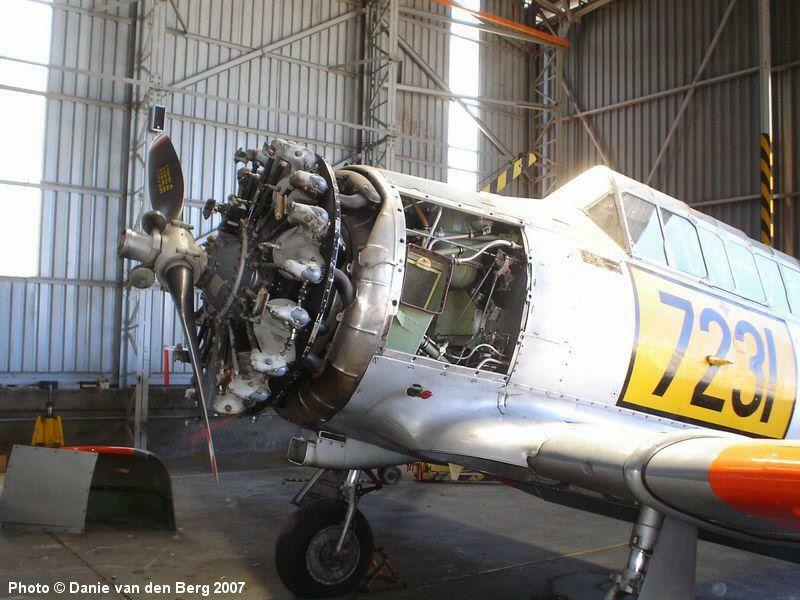 Hopefully it would inspire a SAAF Harvard to be built. Good pictures Morne, I am sure these images will inspire some very good builds. 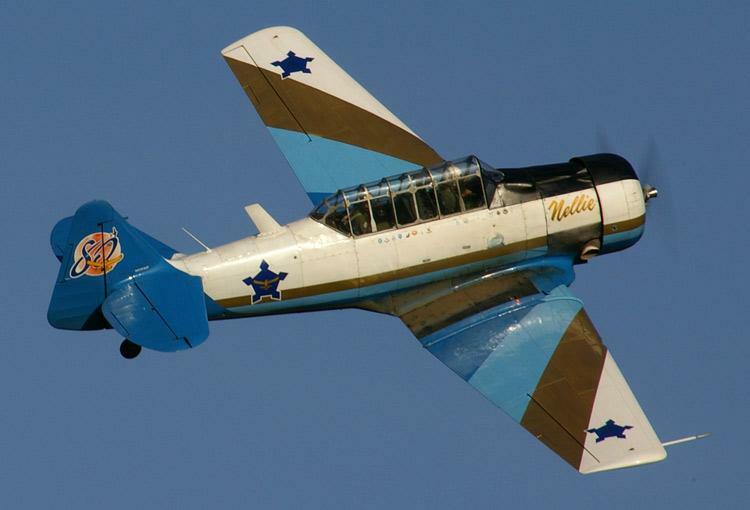 Man – I was just about to sell off a couple of old Testors T-6 kits this weekend at our contest, but now I’m inspired to save one of them for a S. African bird! Except – since it’s NMF, I’d have to mask another canopy, and in 1/72, that really is a pain! Oh – what to do…?! That first pic is my favorite – just a stunning capture – lighting, the whole thing. Hi Greg. I must confess that I have never built a Harvard before. 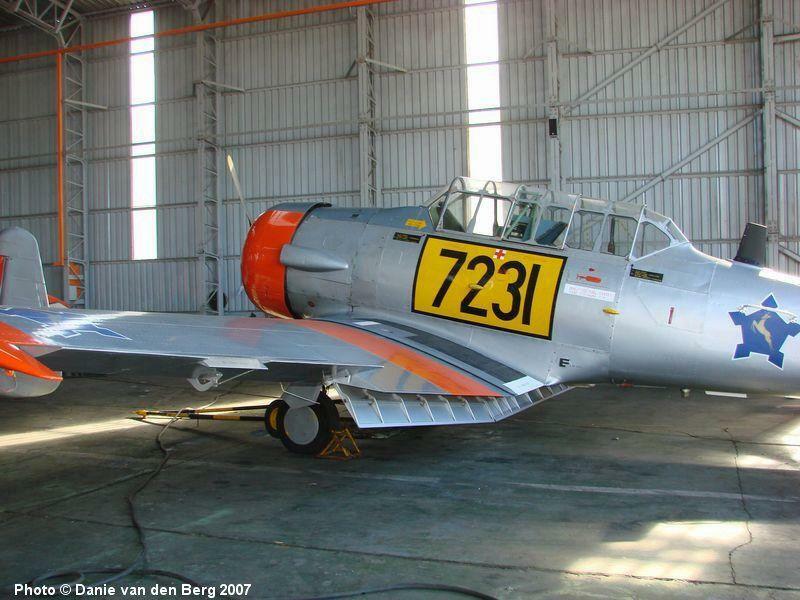 However, at the SAAF museum in Port Elizabeth we have a restored SAAF Harvard and the faded orange dayglo and dull NMF finish has taken on such an allure that I am tempted to get the 1/32 scale Kittyhawk kit and replicate the SAAF Museum Harvard that’s on display. Prachtige foto’s van SAAF Harvards. Het geluid van het geratel bij overkomst zal mij altijd bijblijven. Dank voor het artikel. 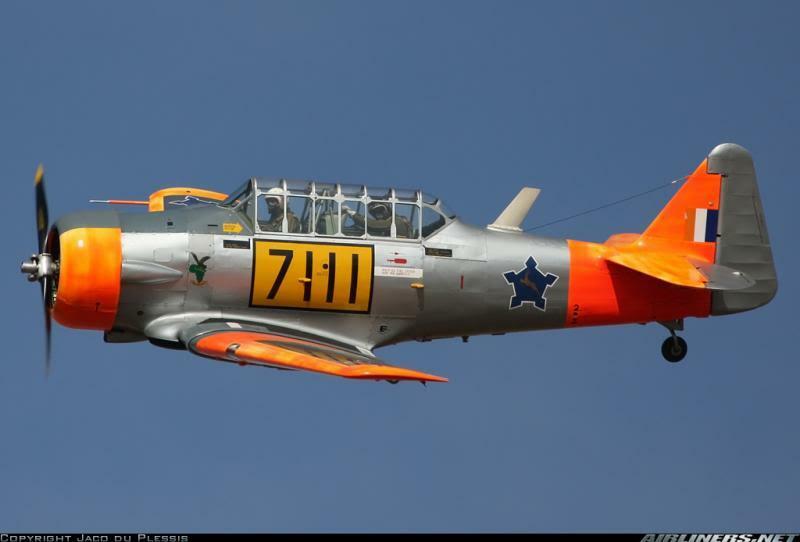 Beautiful pictures from the SAAF Harvard. 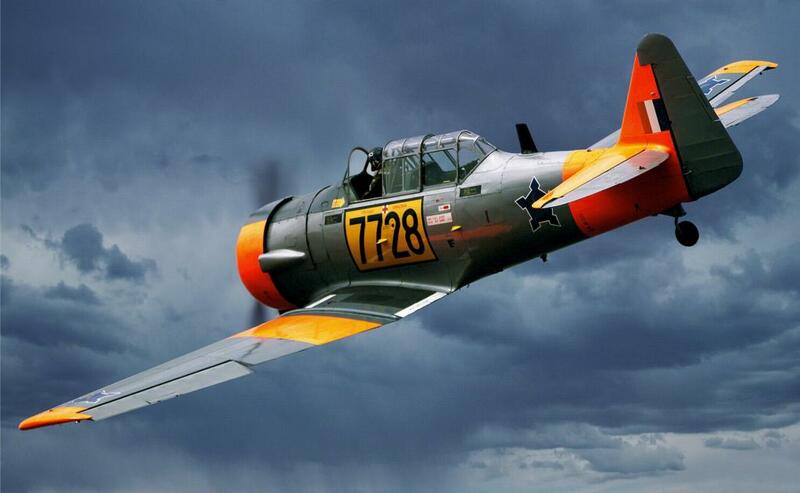 The typical sound from the two blade propellor will be never forgotten. Thanks for sharing. Dirk as een Afrikaander kan ik het Nederlands mooi verstaan. Niet goed schrijven. The sound of the engine was so distinctive that one could recognise it anywhere!! Double-Duty Dornier – Matchbox style.